The Minister of State for Aviation, Senator Hadi Sirika has decried the infrastructural deficit plaguing the global aviation industry; saying he is in total agreement for every efforts aimed at financing the development of aviation infrastructure. He has also said that a total sum of $775 billion of the United States of America is required to develop Nigeria’s transportation infrastructure over the next 30 years, taking a cue from the Nigerian Integrated Infrastructure Master Plan (NIIMP). 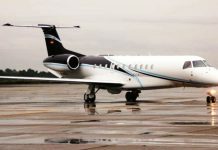 Sirika, who made this known, while speaking at the World Aviation Forum in Lagos last Monday, in Abuja, agreed that aviation is a major force in the economic development of any nation. He chronicled the excellent business opportunities in the aviation sector in Nigeria which he said that Nigeria is strategically located geographically in the Gulf of Guinea, equidistant from most locations in Africa. The minister also said that Nigeria with the population of 173 million people, accounts for about 50 percent of total West African population. According to him, Nigerian market serves the West and Central African region with a population of 600 million people and hence advised potential investors to take advantage of the estimated 34 per cent return on investment in Nigeria and invest in the country which is one of the world’s highest. “A road map has been developed by the Nigerian government where potential investors can cash in. 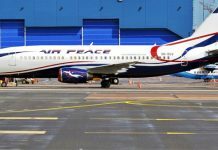 These are safety and security infrastructure strengthening, concession of airports, starting with Abuja, Lagos, Kano and Port Harcourt, establishment of national carrier which is private sector-led and establishment of maintenance, repair and overhaul (MRO), he said. Other areas the road map covers are the establishment of Aviation Leasing Company (ALC), Development of Agro-Cargo Terminals, Aviation/ Aeronautical University and Aerotripolis among others.